Former Vice President Atiku Abubakar has said the victory of Governor Willie Obiano in last Saturday's governorship election was a victory for the Anambra people. 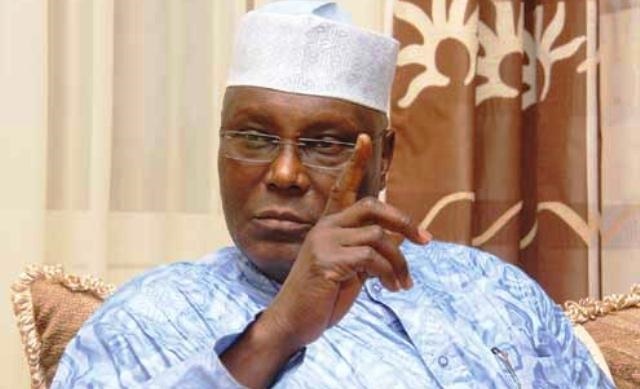 Former Vice President Atiku Abubakar has reacted to results of the November 18 governorship election in Anambra State. Incumbent Governor Willie Obiano was on Sunday evening declared winner by the Independent National Electoral Commission (INEC). Obiano, a candidate of the All Progressive Grand Alliance, APGA, defeated candidates of the All Progressives Congress, APC, and that of the Peoples Democratic Party, PDP, with wide margins. The incumbent governor won in all 21 Local Government Areas of the State, to record a historic victory. Reacting to the development, Atiku said the true winner of the election were Ndi Anambra (people of Anambra). He wrote on Twitter, "Congratulations to the people of Anambra for a peaceful election. Congratulations to the people of Anambra for a peaceful election. The true winners today are Ndi Anambra.